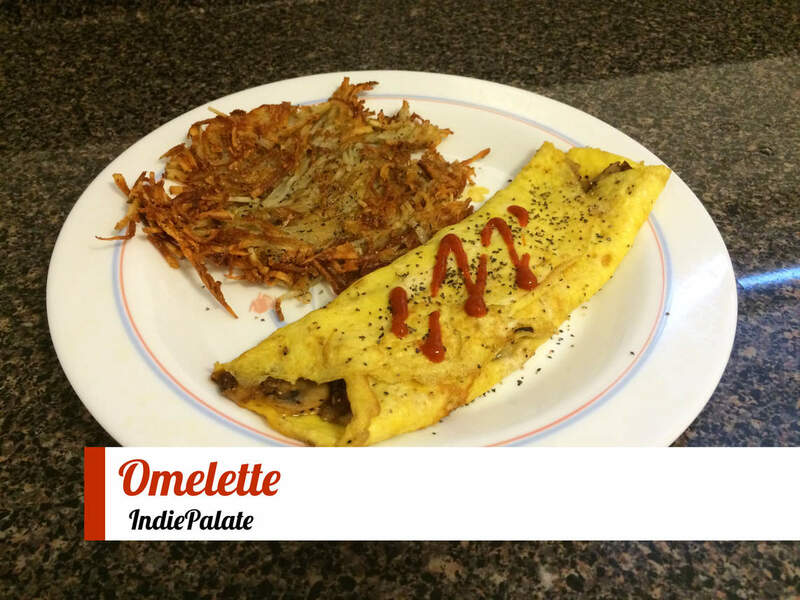 Omelettes are my favorite breakfast food. 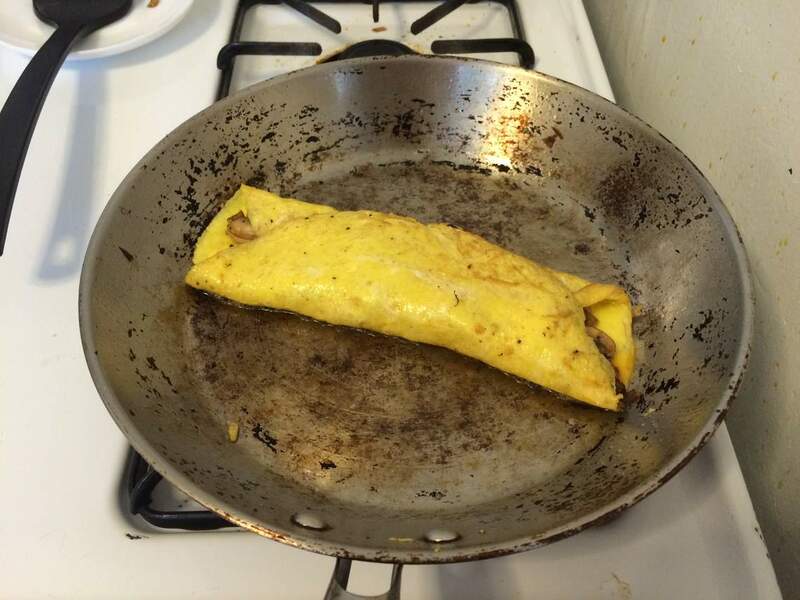 Scrambled eggs get cooked into a flat, crepe-like wrapper around some filling like meat, cheese, or veggies. For the longest time, I didn't even try to make an omelette. 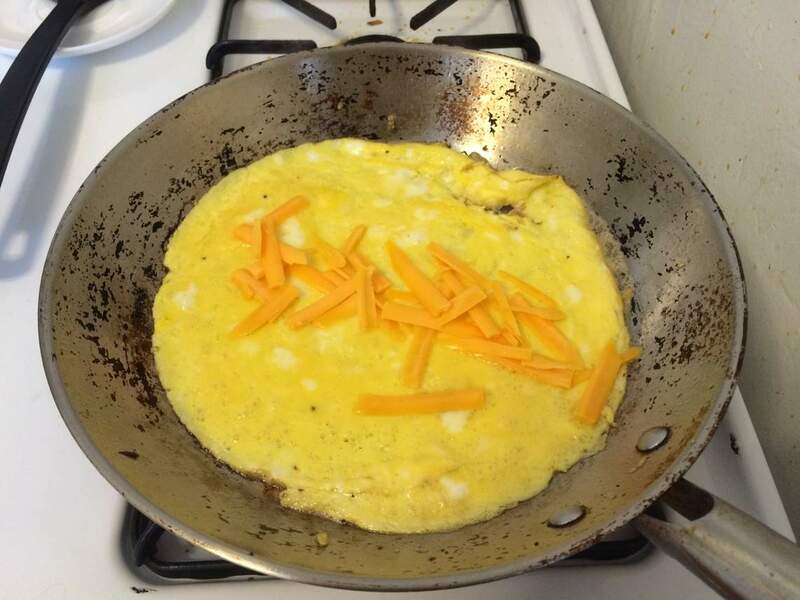 "Omelettes are hard", I always hear. But after a few failures that ended up as scrambled eggs, I think I figured out the technique. 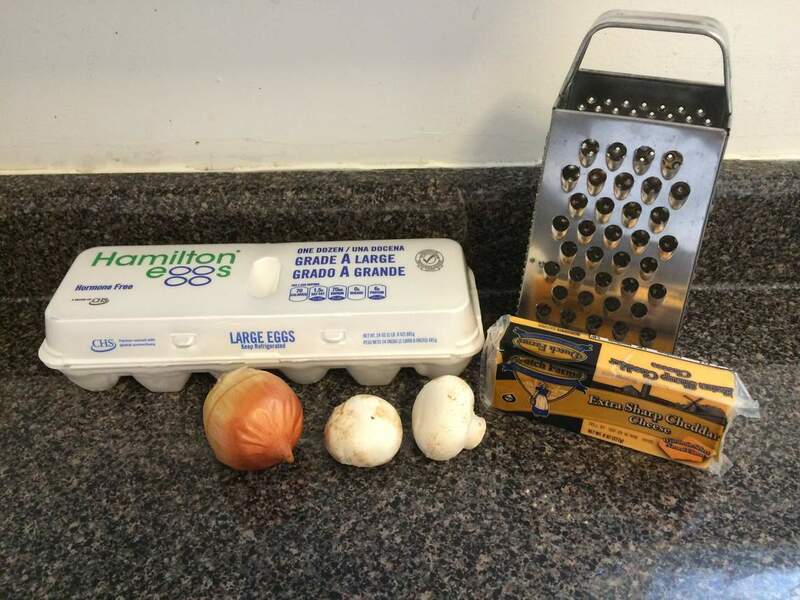 Prepare any additions first: Shred cheese, dice and/or saute veggies, cook meats. Scramble the eggs. 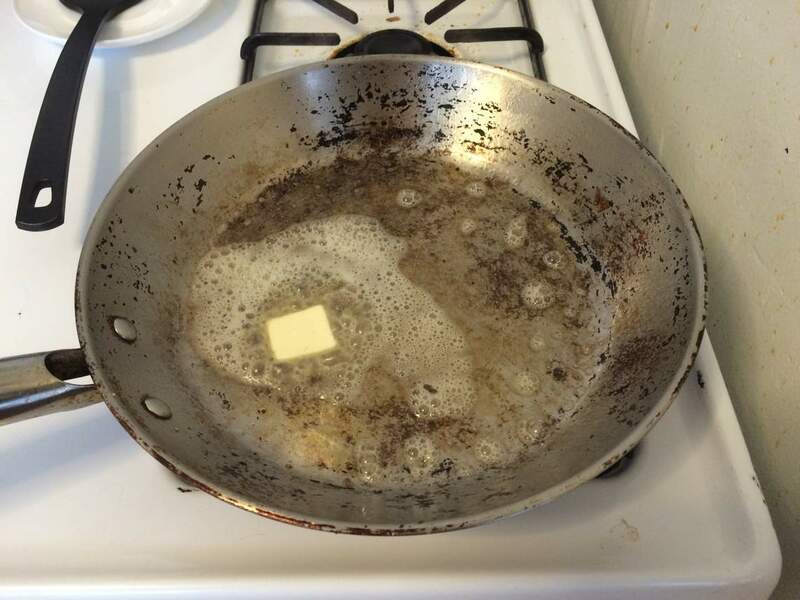 In a medium fry pan over medium heat, melt the butter. Add the eggs and cook slowly. 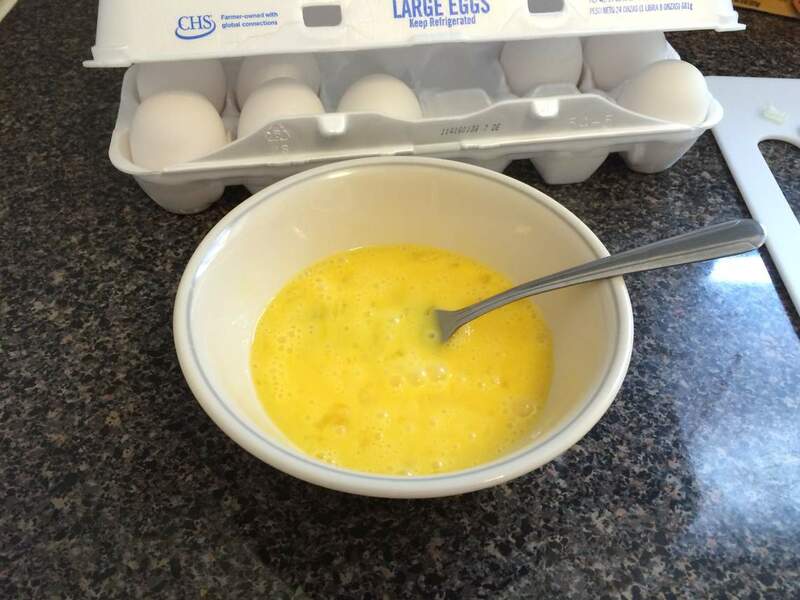 When the top of the eggs starts to firm up, add the additions in a row in the middle. Flip the two sides over the middle and serve. Like so many good meals, it's not about the ingredients, it's about the preparation. The egg part happens pretty quickly, so make sure you've got everything ready for that. 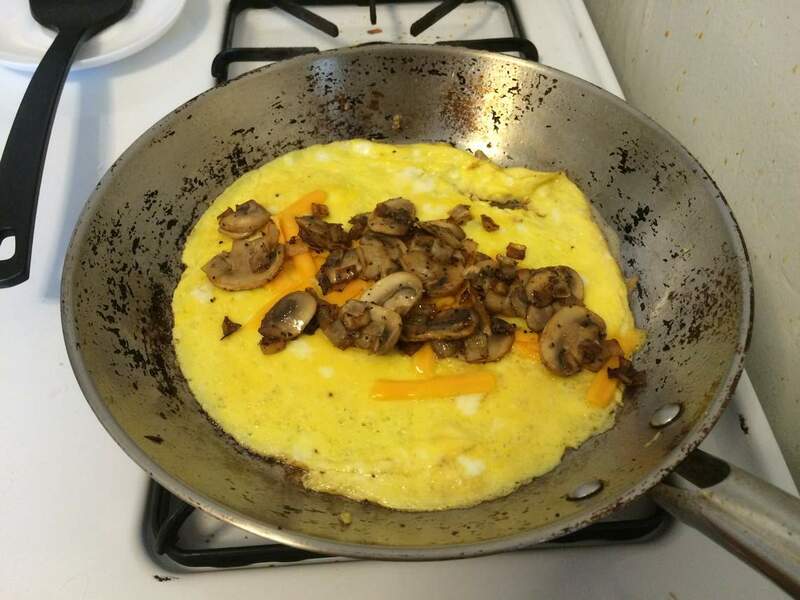 For this omelette, I bought some mushrooms and onions. 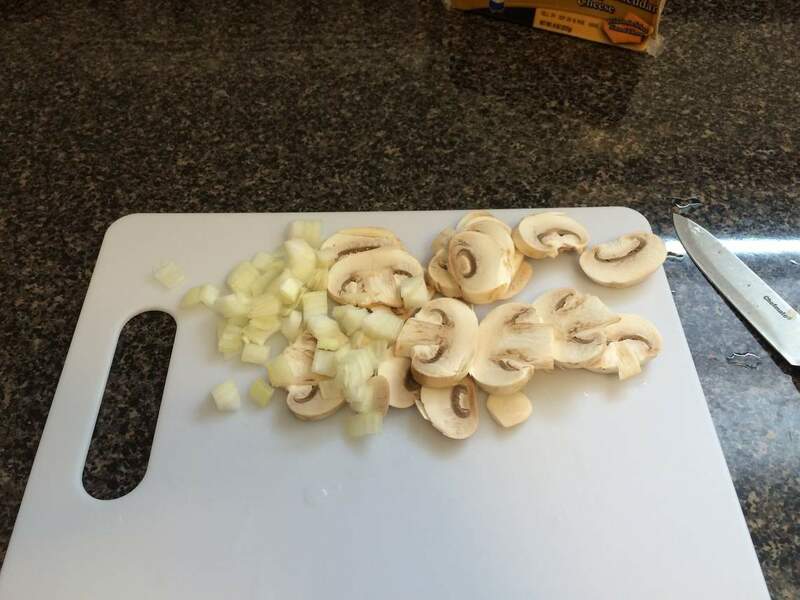 So I diced the onions and sliced the mushrooms thin so they'd cook faster. 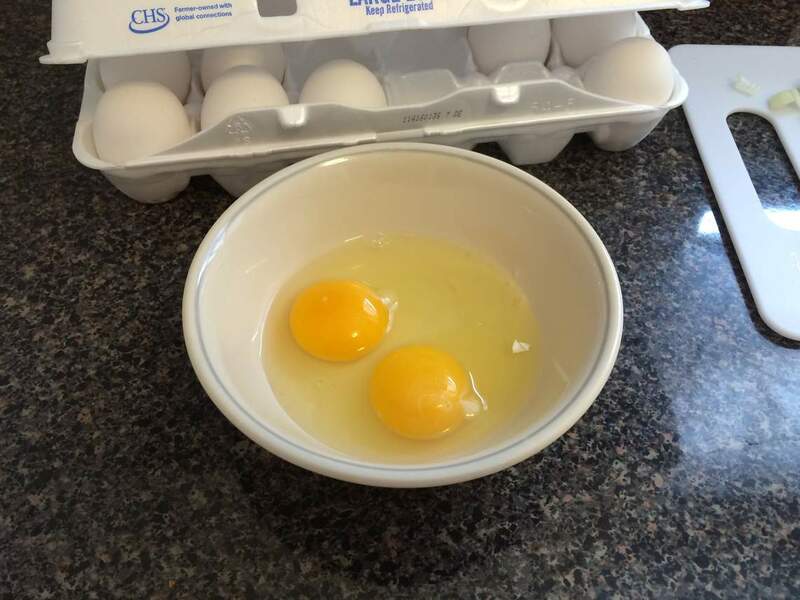 Then I prepped the eggs. I only used 2 eggs, but you can use more. No milk or cream though. Scramble them well with a fork in a circular, folding motion. 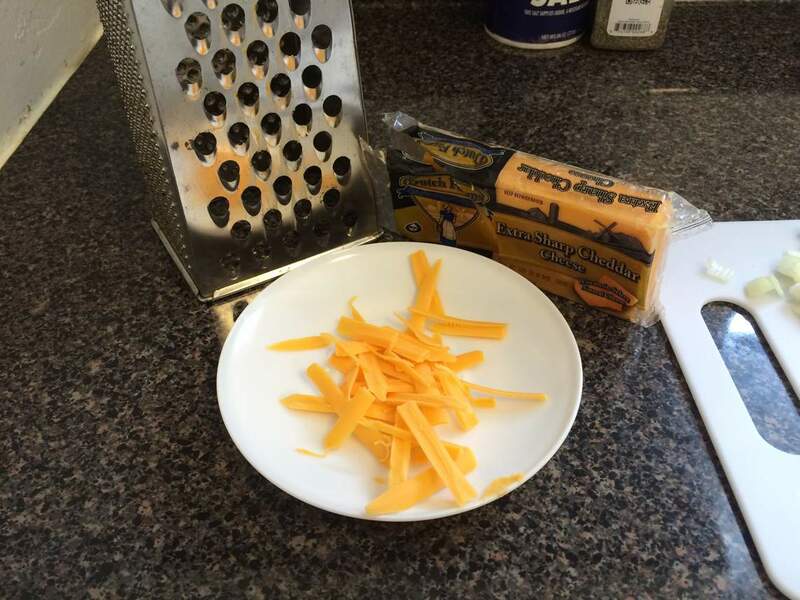 Finally, I shredded some cheese. Everything goes better with cheese. A nice melty cheese like cheddar. 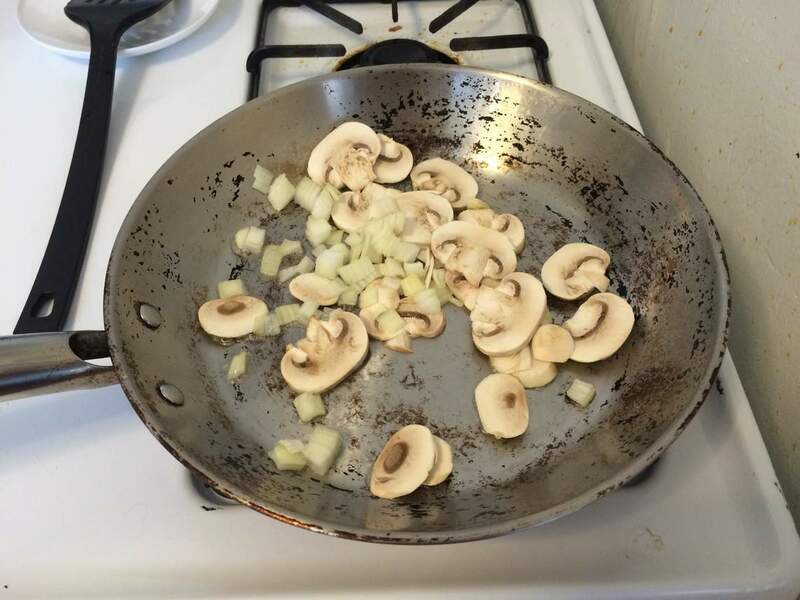 For sauteeing the veggies, we need a pan with a bit of oil, nice and hot. 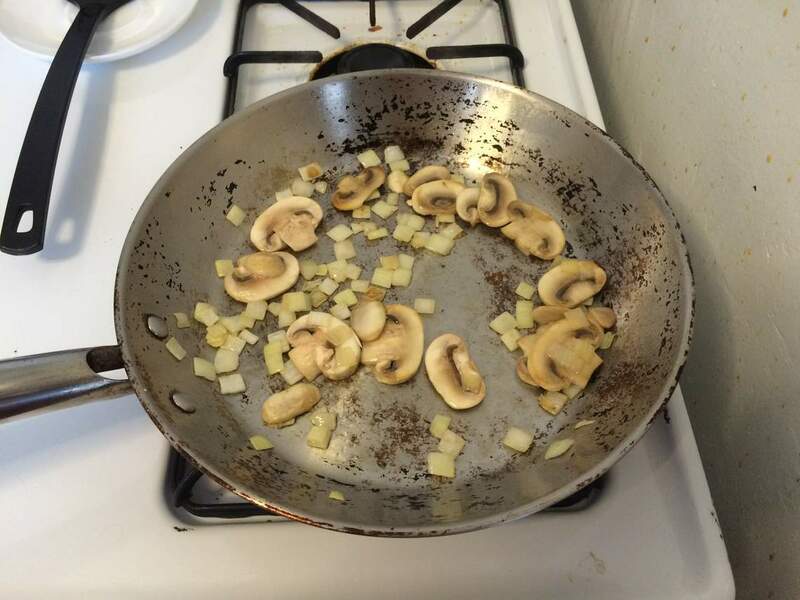 Saute is high heat and constantly moving, so keep the heat medium-high and keep moving things around. As long as everything's squeaking and steaming, it won't burn. After a few minutes, they'll start looking like this. 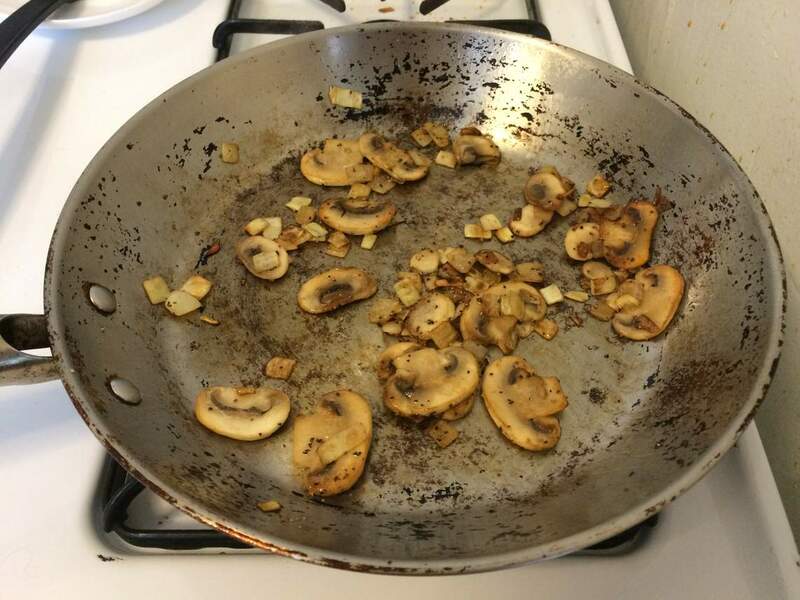 Keep turning the mushrooms so they brown evenly on both sides. When they look like this, they're done. 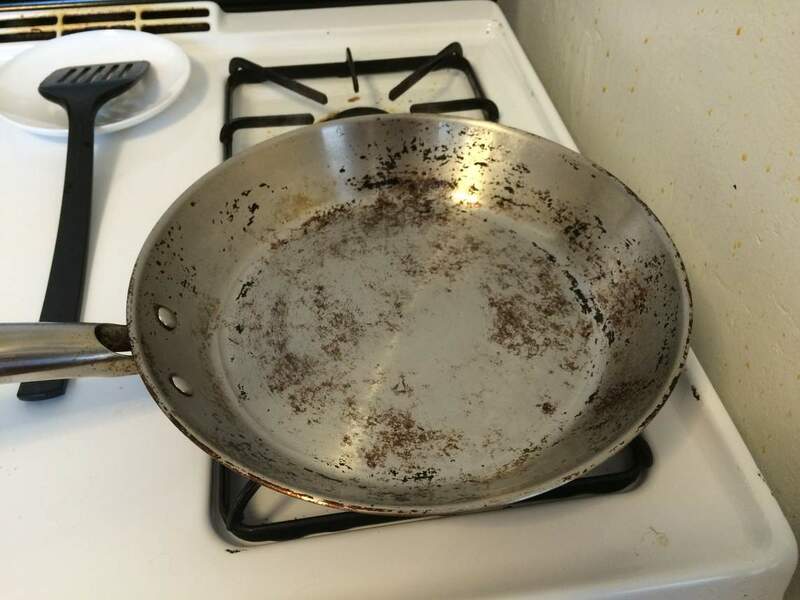 Remove them from the pan to a plate, as we need the pan for the eggs. Melt the butter in the pan. After the high heat of the saute, we need our pan to cool down a bit, so melt the butter with the heat off. Turn the heat on to medium, then pour in the egg. 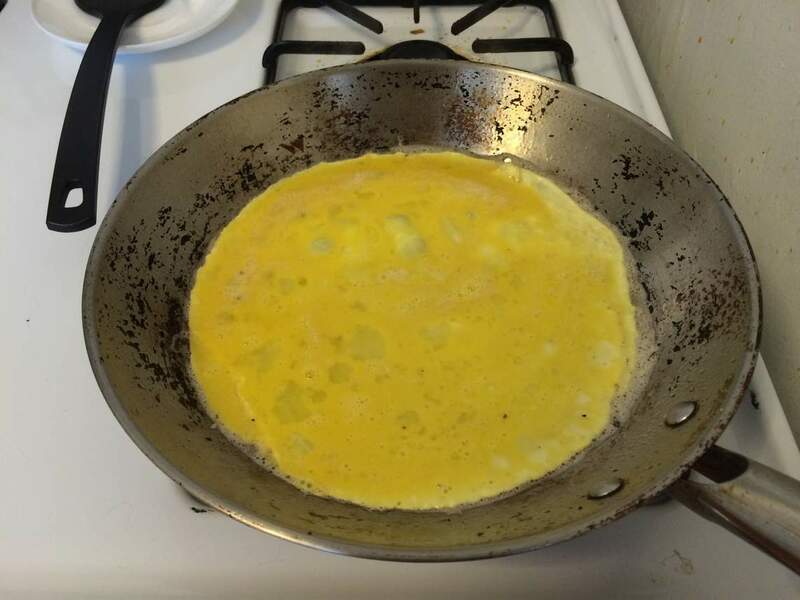 Spread the egg around to the sides of the pan. Cook slowly. Because we've only got two eggs, it's thin enough we just need to wait. If we had more eggs, we'd need to peel back one side of the omelette to let the uncooked egg on the top make it to the bottom. 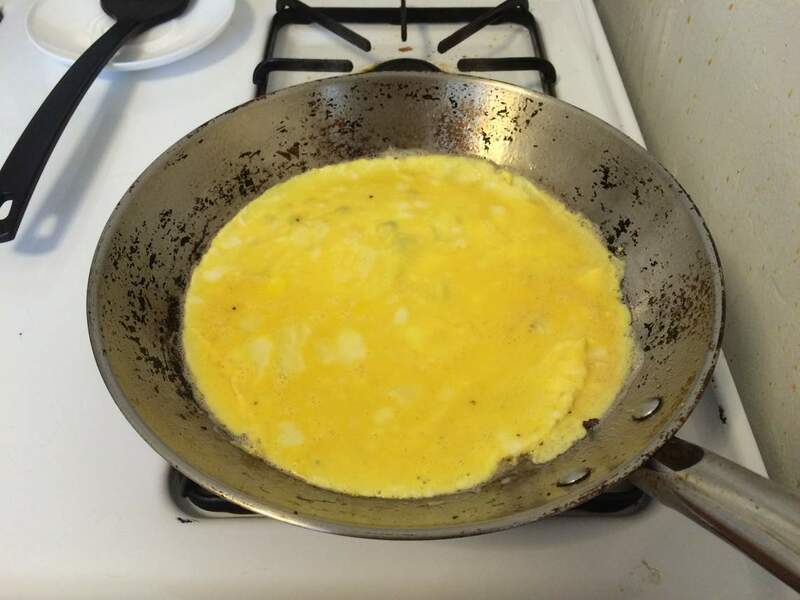 Once the egg is cooked through, we can turn off the heat and add the filling. I added the cheese first, to give it time to melt. Then the veggies make their encore appearance. Finally, wrap the sides around the filling, and serve seam-side down.